Award winning photograph by A.J. 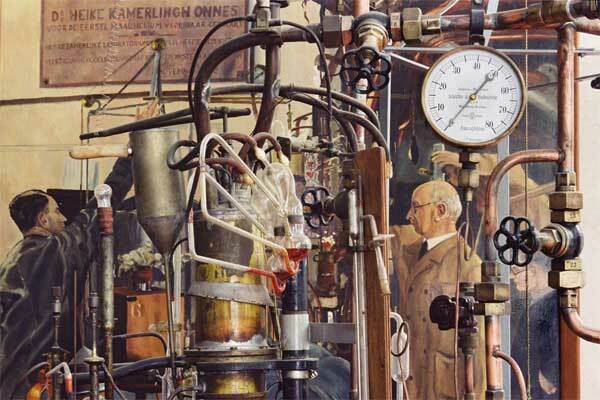 van Haasteren, showing on the foreground the helium liquefactor in the Kamerlingh Onnes Laboratory and on the background a painting from 1938 (by C.J. Matthijs) of the machine in operation. Here is how the location looked like in the 1980's. The physics laboratory in Leiden became the "coldest place on Earth" under the direction of Heike Kamerlingh Onnes (1853-1926). Helium was first liquefied there in 1908 and three years later mercury became the first metal to be cooled to the superconducting state. The old liquefactor can still be admired as you enter our building. 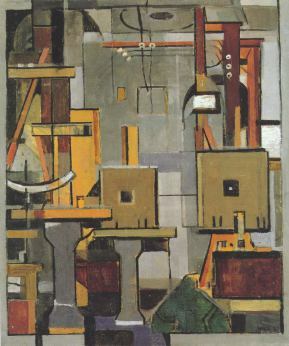 This painting from 1921, by Heike's nephew Harm, depicts a more abstract view of the apparatus. ... and then went on to discover superconductivity (and even observe superfluidity, without actually realizing what it was). Here is the biography of Kamerlingh Onnes, by Dirk van Delft. His Ph.D. thesis from 1879, on the Foucault pendulum. 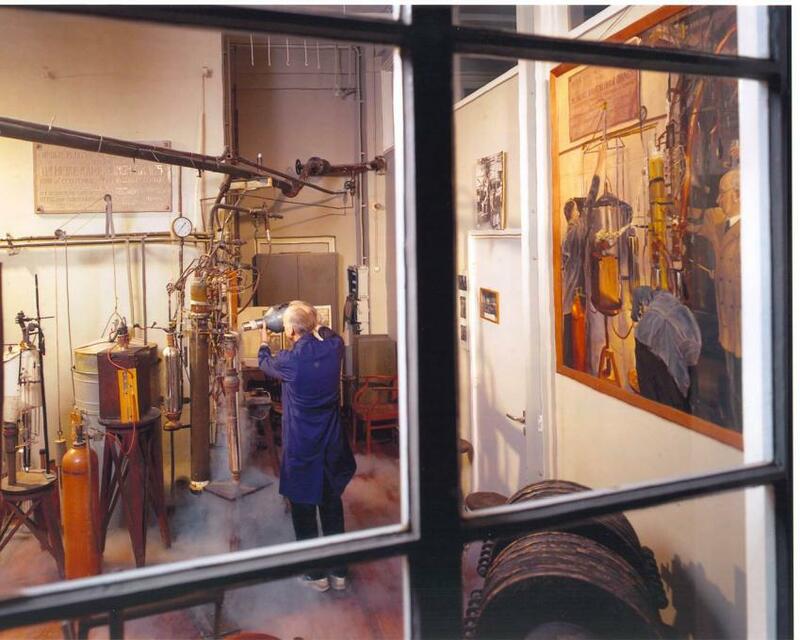 Explore the archive of the Kamerlingh Onnes Laboratory. In 2008 the centennial of the liquefaction of helium was celebrated during the 25th international conference on Low Temperature Physics. 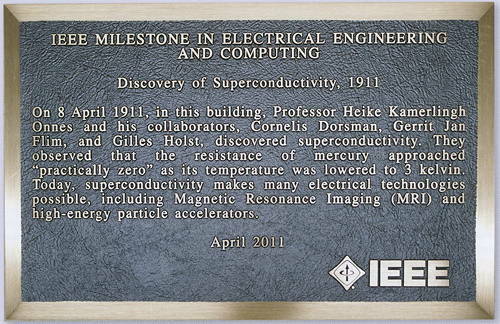 The European Physical Society declared the lab a historic site (1, 2) in 2015.